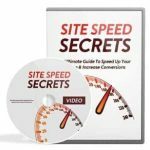 Discover 10 easy-to-implement zero cost traffic tactics to generate a ton of website traffic without paying a cent on advertising or outsourcing. ATTENTION: Need website traffic but don’t have the budget? Getting traffic to your website seems like an impossible task if you don’t have a huge budget to work with and a group of experts at your disposal. These days, launching a website means that you are competing with more companies than ever and getting traffic to your site is vital whether you are doing e-commerce or just creating a blog that you’d like people to read. Paying for traffic paying for pay-per-click campaigns such as AdWords and Facebook Ads, media buying, solo ads, exchanges and much more. If you don’t know what you’re doing, you could easily spend thousands of dollars without knowing it! If you’re just starting out, you most likely don’t have a budget of a big business, so you’re left with no choice but to find ways to attract new customers within budget first. 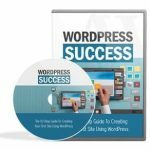 I’ve written a guide sharing ways in which you can start generating website traffic without paying a single cent. You can get instant access to all 10 video tutorials you can watch and replay at anytime! This is the ultimate and essential guide to generating free traffic! You’ll discover all the steps, tools and resources to help you finally succeed! Click the Add to Cart button to get your copy today!